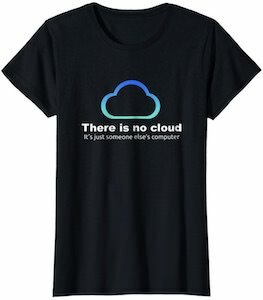 Now there is a There Is Not Cloud T-Shirt that is great for the whole family. On the t-shirt you can find a blue cloud that is different kind of blue around it looking it really cool and tech like. Below the cloud it says “There is no cloud, it’s just someone else’s computer”. So if you and all your friends are talking about having their files in the cloud then it maybe good to know that they are just on someone else’s computer. You can get this t-shirt in many styles for men, women, and kids and it comes in many colors and sizes to so that it is just the perfect t-shirt for you. If you ever wondered where the clouds come from then just look at this sun making clouds t-shirt because that explains it all. The t-shirt is available in sizes Small – 6XL and comes in styles for both men and women. 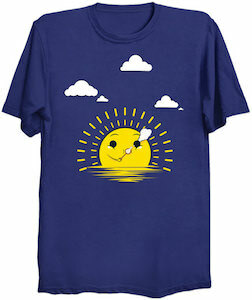 On the shirt you can see the sun rising out of the sea and it looks like it is blowing bubbles but instead of bubbles it is making clouds and that is how clouds are made. So if you want to be a ray of sunshine that makes people smile then wearing this cute t-shirt is a great start of the day. Maybe a novel from Stephen King is in order after seeing this killer clown formed out of an explosion mushroom cloud? 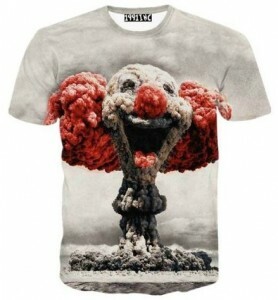 On the front of this t-shirt you will see a huge mushroom cloud from an explosion but this is no ordinary cloud, find the detailed image of a clown head, red hair, nose and toungue making this explosion one to remember. Made in wide variety of mens sizes that range from Small to 2XL this t-shirt is a slim fit so it will run a little smaller than normal and really hug the bodies curves. Check out the Explosion Cloud Of A Clown T-Shirt.